If the yarn is to be worsted-spun, the wool is taken half-carded to a series of machines which align the fibres and comb out all short fibre and any remaining vegetation. This can also be done by hand, using heavy wool-combs (such as those used to martyr St. Blaise, the patron saint of wool combers and of a local church near my home in Cornwall). Wool combs such as those used to beat St. Blaise to death (ouch!) 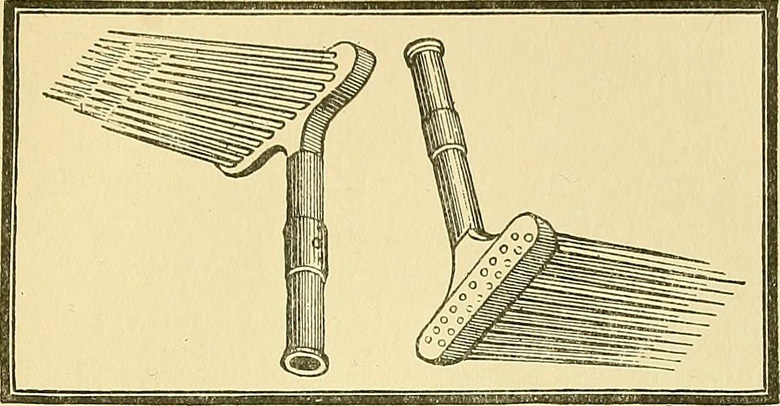 image found in the Internet Archive book illustrations collection on Flickr. St. Blaise (also known as Saint Blase) was a physician, and bishop of Sebastea in historical Armenia (modern Sivas, Turkey). According to the Acta Sanctorum, he was martyred by being beaten, attacked with iron combs, and beheaded. He is the patron saint of wool combers. In the Latin Church his feast falls on 3 February, in the Eastern Churches on 11 February. The first reference to him appears in manuscripts of the medical writings of Aëtius Amidenus, a court physician of the very end of the 5th or the beginning of the 6th century; there his aid is invoked in treating objects stuck in the throat. Because of his violent martyrdom, St. Blaise was often pictured with wool combs. 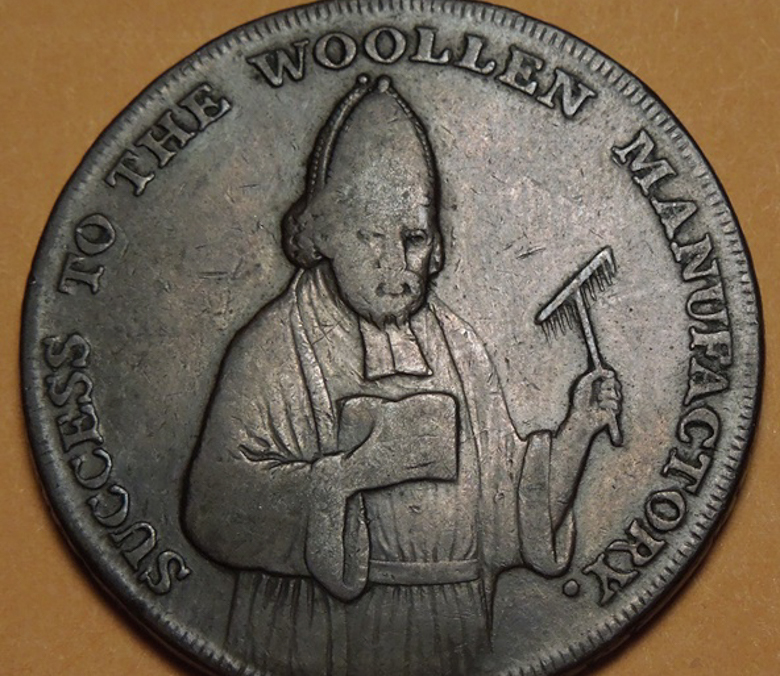 This led to his association with wool combing and thus to his becoming the patron saint of wool combers. I prefer to celebrate the British myth that St. Blaise brought prosperity to England by teaching the people to comb wool. I still haven’t learned to comb wool, so I will be getting out my drum carder to observe February 3 this year. HERE HERE, JACKIE, HERE HERE.